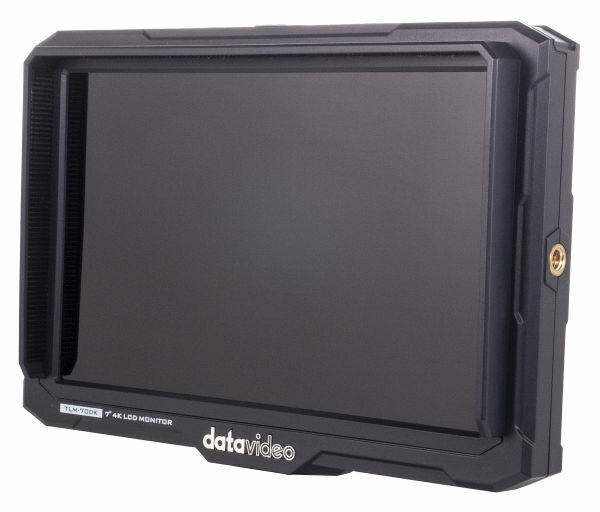 The Datavideo TLM-700K 7” 4K LCD Monitor features 4K inputs at the 7” screen size. 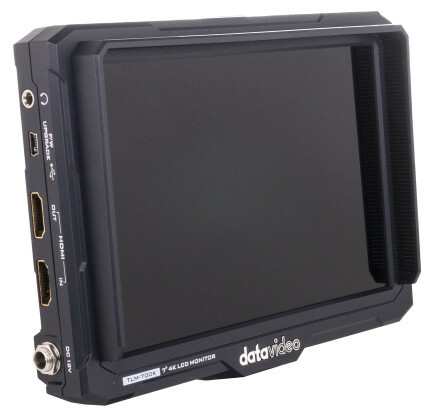 Its UHD 4K resolution is compatible with 16:9 Aspect Ratio LCD field monitor which presents its images on a Full HD 1920x1200 LCD panel. Optimized for use with the professional DSLRs & Camcorders. 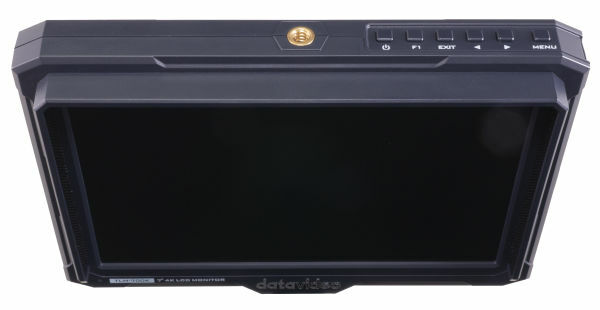 It offers a wide range of professional features including focus assist (peaking), false colour filters, a variety of screen markers, underscan mode, check field and Pixel-to-Pixel mode. The Datavideo TLM-700K is an excellent display with advanced auxiliary functions to provide wonderful viewing & user friendly experience. This viewfinder monitor supports 4K HDMI input and loop through, with headphone interface to monitor the embedded audio. This makes this monitor suited for high-end camera use without breaking the bank. 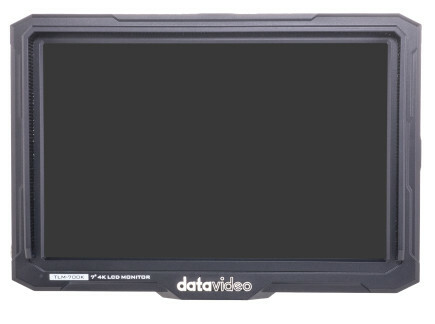 What makes the TLM-700K unique is that Datavideo managed to keep the weight and size down. This results in a compact monitor that weighs only 400 grams. Due to its low weight, it is suitable to sit on top of your camera. It can be mounted on various types of cameras or camcorders by the VESA mount, hot shoe and also mounts to camera tripod arms. TLM-700K is typically used with a battery on the back. 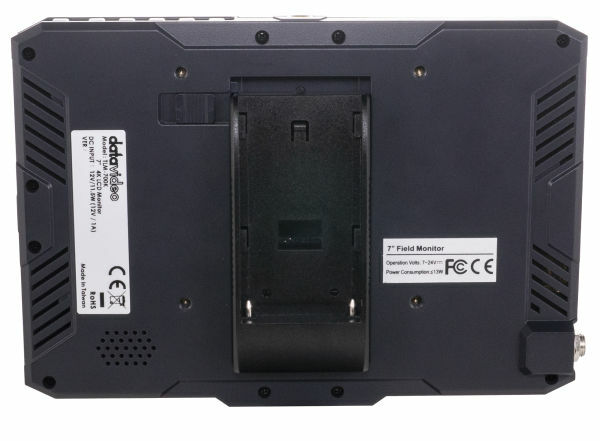 The monitor has support for Sony F970 type batteries. A DC power supply is also packed when used in a studio setup.